What Are Joe Biden's Chances Against Hillary Clinton If He Decides To Run For President In 2016? Not one politician from the Democratic party has yet announced his or her presidential bid as of yet, though some are expected to make an announcement soon. While it seems like potential candidates are taking their time scoping out their chances, one possible 2016 hopeful's patient exploration of a bid might soon be forced to speed up as the Democrats look to Vice President Joe Biden, increasingly pressured to challenge Hillary Clinton, to join the race. Since we started this, a lot of people from Biden’s past, from when he was a United States senator as well as when he ran for president, have been coming out and supporting it and getting involved. We’ve been feeding from their firehose, just because it’s been a lot of support. The growing movement urging the vice president to run has been further exacerbated by the Democratic party's need for an "understudy" to Clinton — already the frontrunner by a wide margin despite not having announced her (expected) bid yet — if she falters or comes up short. But where the establishment and the grassroots movement differ is while Clinton is presumed to be the party's first-choice candidate, there have been calls for formidable politicians to provide a legitimate challenge to the former Secretary of State in her effort to gain the presidency. Besides Biden, some regard progressive Massachusetts Sen. Elizabeth Warren more than capable of posing a genuine challenge to Clinton's presidential campaign. Warren has said she has no interest in running, but her supporters are urging her to reconsider. A competitive primary provides those running the opportunity to improve and define themselves as presidential candidates, and a too-easy path to the party's nomination without any real competition would pit an ill-prepared Clinton against a Republican opponent who would almost certainly have had to fend off a crowded GOP primary. Biden said in January that "there's a chance" he might run in what he called "a wide open race," and will wait until the summer to decide. The Guardian quoted one unidentified Democrat saying that Biden is monitoring Clinton from the sidelines as she grapples with strong criticism for using a private email account to correspond as Secretary of State during the Obama administration's first term. Despite the scandal, Clinton remains the clear Democratic frontrunner. A recent CNN poll showed that Clinton is far and beyond the most favorable of all potential candidates at 62 percent, even against Republicans. 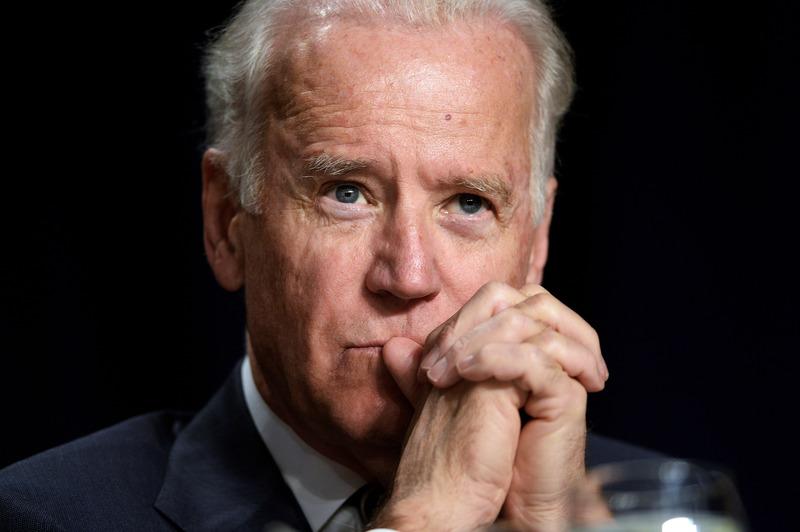 Biden comes in second among hypothetical Democratic challengers, but at a meager 15 percent. Optimistically, a Quinnipiac University poll found that Biden would come out ahead in the Democratic primary, should Clinton decide not to run — though, honestly, that looks rather unlikely at this point.